10 Waterfalls in a Day! 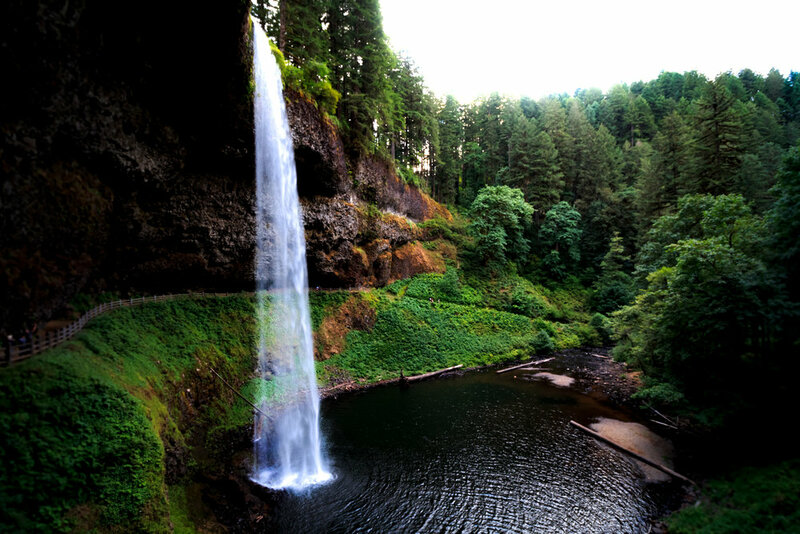 If you want to see waterfalls, then check out Oregon because it's drowning in them. 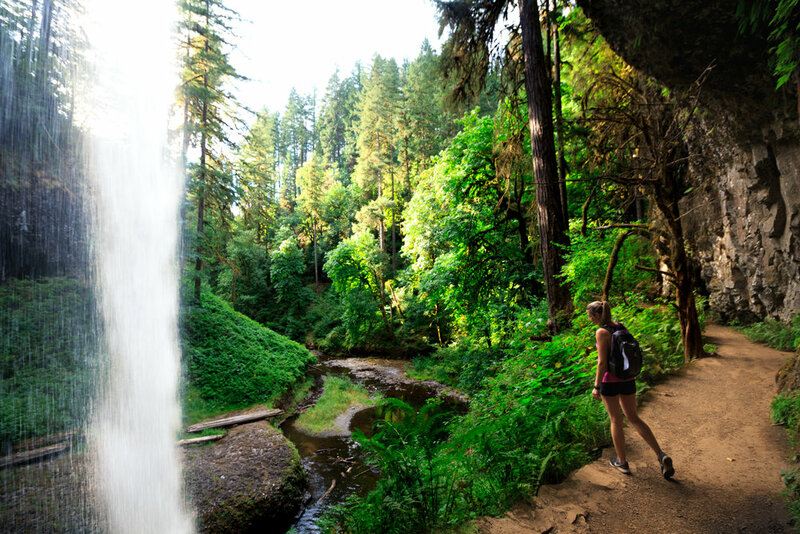 You can see 10 from just a single trail at Silver Falls State Park. Naturally, that's where I found myself a week into my stay. My new friend Charity and I got together for this one; we spent the day chatting away while enjoying the incredible views around us. The trail winds along, over, and under the North and South Fork Silver Creeks as they flow through the valley in spectacular fashion. I expected some of the falls to be a little lackluster, but I was pleasantly surprised. All of them were beautiful and some of them were even huge! I had a rocky start in Oregon, but places like this quickly changed my mind.